Become Springfield’s resident odd ball on the limited edition 27" Penny Skateboard. 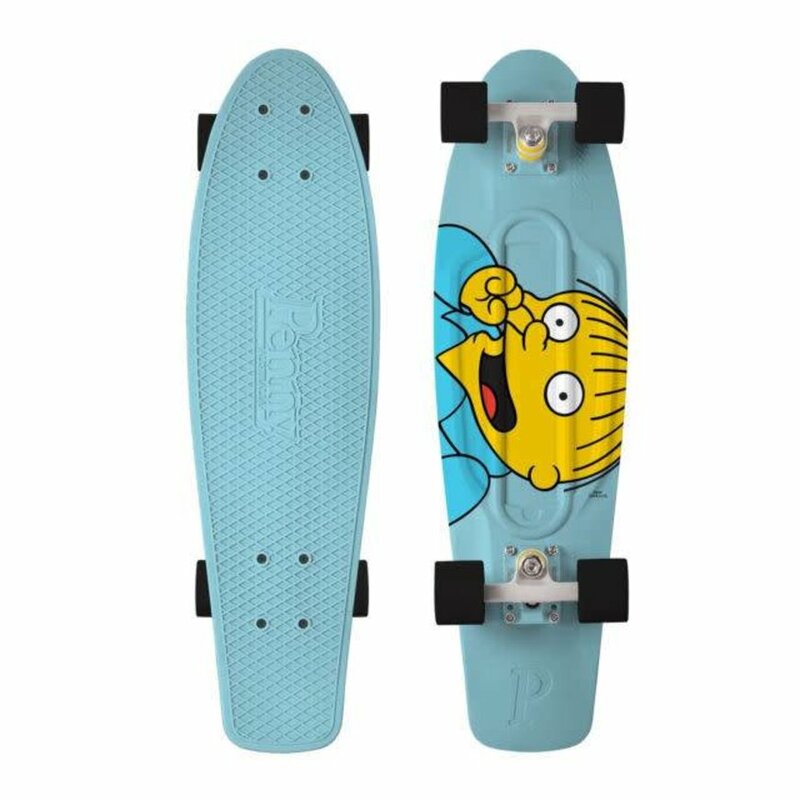 This board will keep you and your friends entertained with a deck graphic featuring Ralph picking his nose and a baby-blue colourway. This 27" board features Ralph being a goofball and picking his nose on a light blue board. White trucks and black wheels complete this board. Wheels and Bearings: Black 59mm 83A wheels and Abec 7 bearings allow the smoothest of rides and raddest appearance. Made from high quality, chip-resistant formula, these wheels are designed to last and will keep you cruising well into the future. Trucks and Cushions: This board features white trucks and 83A cushions to complete the color coordination of this plastic skateboard. The high-quality aluminium construction of Penny trucks keeps your ride light and strong, while the cushions make sure you're ready to carve. Tighten them or loosen them to suit your riding style. Bolts: The 27" Ralph Board features black bolts.